progress pics 2nite or 2molo morning! were can i get the fujimi models for cheap, real cheap! hmm, jst been looking on that hlj.com, and models are cheap! I'd paint it white again then do the black yourself this time. BTW, anyone else agree those tires look WAY too wide for an eight six? wide?naa, they look about the same size for everyother model car. How can u be a gundam collector without the first ever gundam? for some, u might remember this pose? 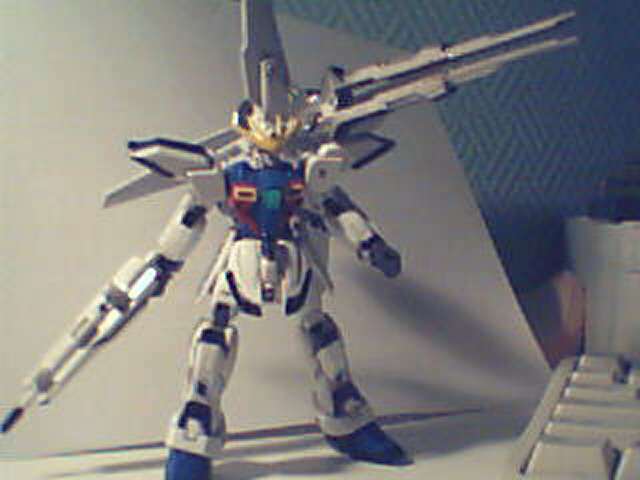 Btw, this model aint mine, i jst found it, and it looks so damn good, the guy who built it, made the whole kit!! is that your Supra , CF86 ? nice nice, shall i post some pics of the project d bit char g? on my 1/100, i duno how to get it to hold the fat cannon properly..